Tramadol, a prescription opiate-type medication, can breed physical dependency and addiction problems in much the same way heroin and opium, its street-based counterparts can. Like many other prescription drugs that carry a potential for addiction, tramadol can be sold on the streets as well as obtained through less than reputable doctors and medical facilities. While addictive, tramadol street trafficking isn’t as lucrative as OxyContin, mostly because it’s not as addictive as other drugs. Likewise, street names for tramadol are, for the most part, few and far between. Street names for tramadol may still be camouflaged under more generic names, so anyone who suspects a loved one or friend of tramadol abuse may want to listen for specific street names for tramadol as well as the more generic references for these drugs. Tramadol is marketed under the brand name, Ultram. As one of many prescription pain reliever medications, tramadol does a good job at alleviating moderate to severe pain symptoms. As one of the most often prescribed opiates on the market, over 43.8 million tramadol prescriptions were dispensed in the U. S. in 2013, according to the U. S. Department of Justice. Tramadol comes in pill form in 50 and 100-milligram tablets. Street names for tramadol may or may not refer to actual properties of the drug. When abused, prescription drugs like tramadol are referred to by slang names. These names reflect the various potency levels of Ultram and Ultram ER. While obtaining tramadol does require a doctor’s prescription, addicts can access needed drug supplies in various ways. Unscrupulous pharmacists can provide a ready supply of the drug. Medical professionals with access to tramadol supplies may steal the drug and then sell it on the street. Addicts may also engage in “doctor shopping” practices in an effort to obtain multiple scripts at a time. Prescription drug street terms may refer to a group or class of drugs in general, since most drugs within any one grouping tend to produce the same types of effects. A prescription drug street name may describe an aspect of the drug or describe the type of people who use them. While street names for tramadol may not be mentioned outright, any one of the above street terms may refer to tramadol abuse practices. 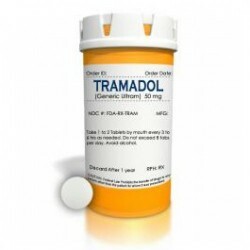 Tramadol can bring on severe withdrawal effects when stopping the drug. While anyone who’s abused this drug for any length of time well knows how addictive tramadol can be, the U. S. Drug Enforcement Administration changed tramadol’s controlled substance classification from Schedule III to Schedule IV, which is a less addictive drug class. In spite of this change, tramadol still poses the same potential for abuse and addiction. Telltale Tramadol Addiction Signs - Tramadol is an opiate drug, and it is addictive. Once a person becomes addicted it is difficult to control your use of the drug, overdose risks increase, and a number of other health and lifestyle consequences are very likely to occur.